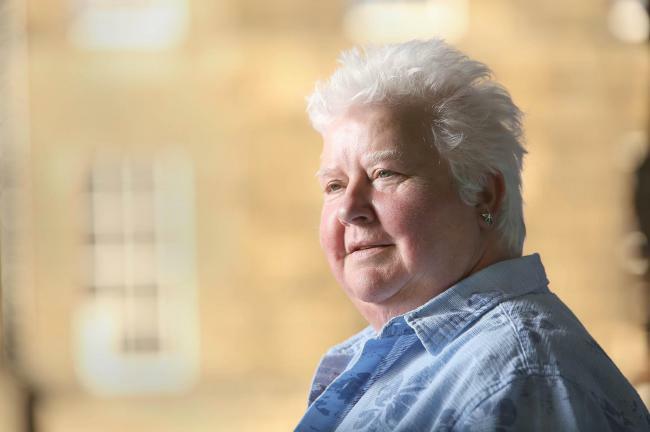 SHOCK news; Val McDermid has come up with a tale that doesn’t involve dismembered body parts, sexual abuse and acts of violence so heinous readers in bed are compelled to pull duvets over heads. McDermid’s new story is in fact a play, Margaret Saves Scotland, and will be performed at Glasgow’s Oran Mor theatre where duvets are indeed thin on the ground. It’s a huge shift in writing platform for the crime writer who can claim to have had over 10m books published in 30 languages. So what has prompted the Fife-born writer to turn her imagination to a fairly small stage in a basement theatre in Glasgow’s West End? Why is McDermid suddenly challenged by the need to compete with the pie and pint that comes with the entrance ticket? The former journalist explains her story idea has been fermenting for some time. “The jumping off point for the play was the death of my friend Margaret Myles a couple of years ago,” she explains. “Margaret (who grew up in the north of England) had told me when she was a little girl she fell in love with Scotland. And this little girl determined that if Scotland were to become a great nation again all it needed was a great leader. The play feeds into the confusion Scotland suffers from at the moment; where are we going? What will happen to us post Brexit? Who will save us from ourselves?